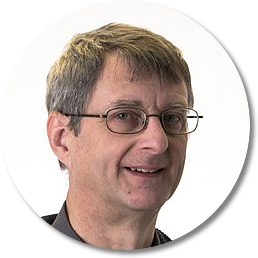 One of the most experienced members on the team, Jeremy Binley is a senior engineer working at Partner Electronics. Coming from a physics background Jeremy has built up a broad knowledge in a range of fields over the years. All leading towards an expertise in high-frequency design. As a senior member of the team, Jeremy has spoken about what life is like at Partner Electronics, and how we work. “Working at Partner you have to be both a team player and a problem solver. As an electronics design consultancy, people come to us with technical issues they can’t solve in-house. Having that eye for detail to spot where the problem lies is only the start, once you know what is going wrong you need to think creatively to solve the issue. It’s also vital that you can communicate and work within a team. Even if 90% of the work you do on a project is solo. When we take on a project we become part of the team of the firm we are working with. We have to be able to understand what their specific issue is. Then be able to relay our progress back to them, keeping them updated every step of the way and convey the approach we are taking in a way they will be able to understand. Then, of course, there is the work you do with your colleagues at Partner. From reporting on the progress of a project to the directors to calling upon other members of the team to work on specific issues. Whilst there is certainly structure at Partner; with senior members of the team supervising projects, the more junior engineers are given a lot of responsibility. Especially more so as they gain experience and develop their skill base. Junior engineers often become the expert on a project and are the go-to individual for contact with the client. Here at Partner, we believe in taking talented young engineers on and training them up the right way, so we give them plenty of support in developing both their technical and professional skills. Being a consultancy, the projects which we take on are hugely varied in nature. Every week is different from the last. In order to keep up, I am always learning something new which keeps the work fascinating and is what I love about the job. Aside from being able to continue to grow and develop I also really enjoy seeing the full life cycle of a project developing a concept to the finished product found on shelves. Do you want to work at Partner? Find more information here.